Universal Studios Orlando Florida has announced a New Military Salute for 2012-2013. This special offer includes One Free 3-Day Park-to-Park Military Salute Ticket for military members. Eligible members are: Active Duty (Includes Army, Navy, Air Force, Marines, Coast Guard, National Guard, and Reserves) or Retired Military Service members with a valid military ID. These tickets must be picked up by 31 March 2013 and used by 30 June 2013. Tickets must be activated at a Universal Orlando ticket window prior to use with a valid military ID. The ticket must be used on the same day as activation and remains valid for 14 days. The ticket also includes admission to Universal CityWalk for 14 days starting on the day of activation. Tickets may be picked up at participating Base ITT Offices and Shades of Green (the military owned and operated resort at Walt Disney World). 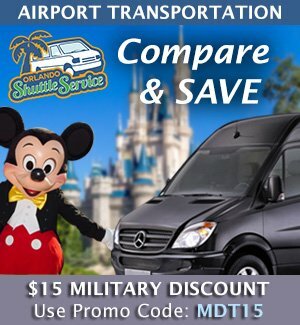 It’s been over two and a half years since the last Special Military Salute was offered by Universal Orlando and I’m very glad to see them bring back something more than just the slight regular military discount. You will need to purchase the regular military discount tickets though for the rest of your party at Your ITT or Shades of Green. If you’d like to stay near Universal Orlando, check out my Preferred Travel Agent for up to a $200 discount. Here are recommendations for products and services I've reviewed that can improve your Universal planning. This is a short list since it only includes my top picks. 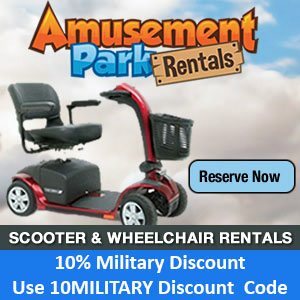 Posted in: Universal Military Discounts. 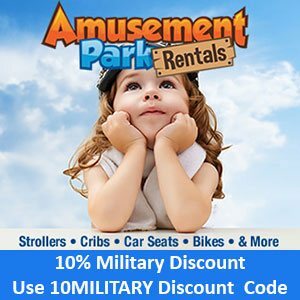 Universal-Parks-Military-Discounts.com is not in any way affiliated with Universal Studios. This site is run by military, for military!